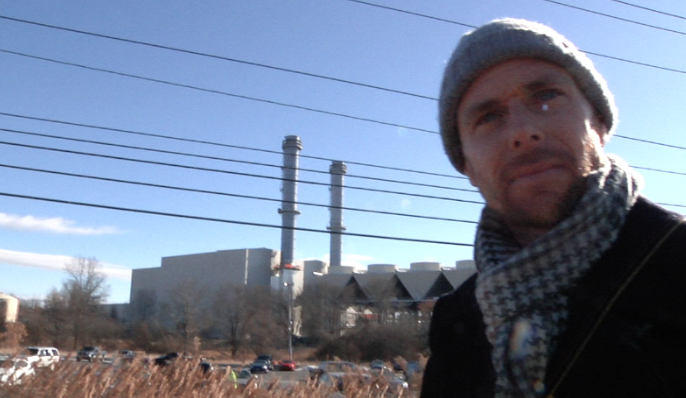 Closing Indian Point: Safe Decommissioning and Re-Powering New York with Sustainable Energy. Facebook Live video from our "Closing Indian Point" forum. Our panel: Karenna Gore, Director of the Center for Earth Ethics; Cecil Corbin-Mark: Deputy Director, WE ACT; and Karl R. Rábago of the Pace Energy and Climate Center. The moderator was Paul Gallay, President and Hudson Riverkeeper. 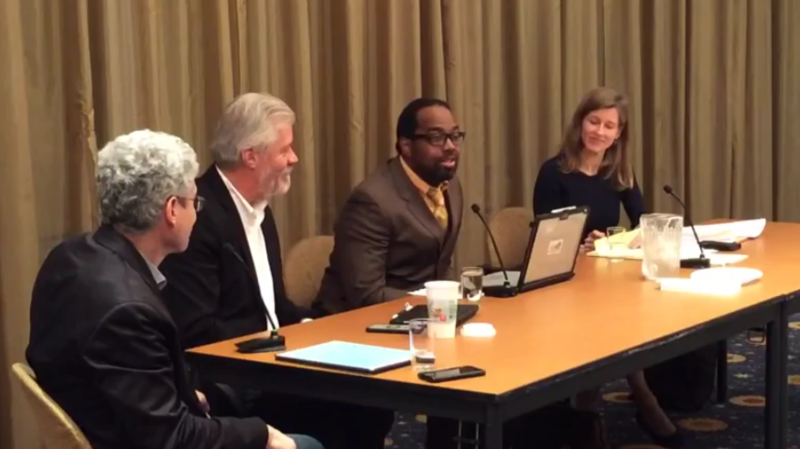 Meet our panel: Karenna Gore, Director of the Center for Earth Ethics; Cecil Corbin-Mark: Deputy Director, WE ACT; and Karl R. Rábago of the Pace Energy and Climate Center. The moderator was Paul Gallay, President and Hudson Riverkeeper. Cecil Corbin-Mark talked about the great work WeAct is doing on energy efficiency in NYC and how that is part of the picture of meeting our energy needs. For more information on the Closure Agreement and Riverkeeper’s promise to ‘compel full compliance’ click here: Riverkeeper.org. Greetings, Peace and Blessings ! Hello everyone, the event at Union, Musical Seed’s was big fun! 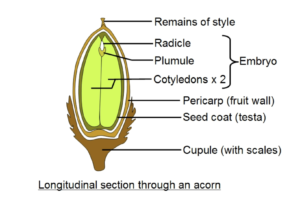 I gave a presentation on Acorns as an important “seed ” source and one of the most abundant food sources there is! 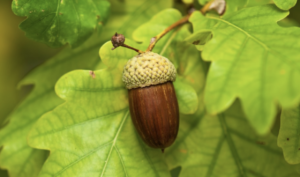 Acorns have all the trace minerals such as calcium, magnesium and zinc, as well as proteins. The nut to shell ratio is about 90%, which speaks of the amount of food available. Oak tree is a source of abundant wood and medicine and also it is the main food source for deer, bear, turkey, squirrel among others. It also keeps the whole ecosystem functioning. Red Oak and White Oak are two of the most abundant oaks trees in the northeast of Turtle Island. 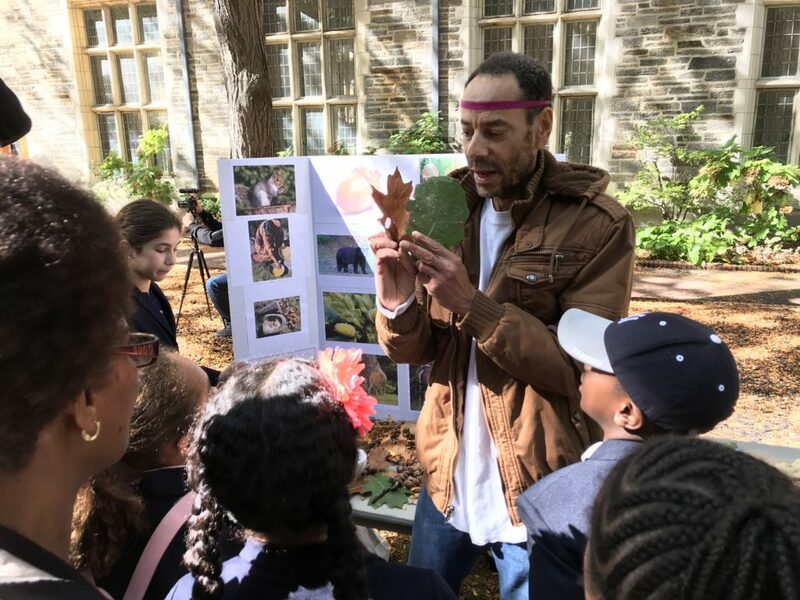 School teachers should know about this abundant food source and talking about this in the class would teach children and their families to respect the forest as part of their home, not a separate entity but as part of the whole. Indigenous Peoples around the World are the caretakers of Mother Earth. It is the time of the New Dawn, it is time for the acknowledgement of their Biocultural wisdom to protect life and we need to pay respect to their spiritual and material sustainable practices. Biocultural diversity and biocultural heritage are related concepts that intertwine culture and biodiversity. In Indigenous Peoples’ thoughts and philosophies, culture and biodiversity are interrelated and seen as unity. Precisely, thinking and feeling about the web of life as an interconnection allows us to think and act in a biocultural way of being. Given the continuous deterioration of life systems of our Mother Earth, it is urgent to restore the most affected places in the world. 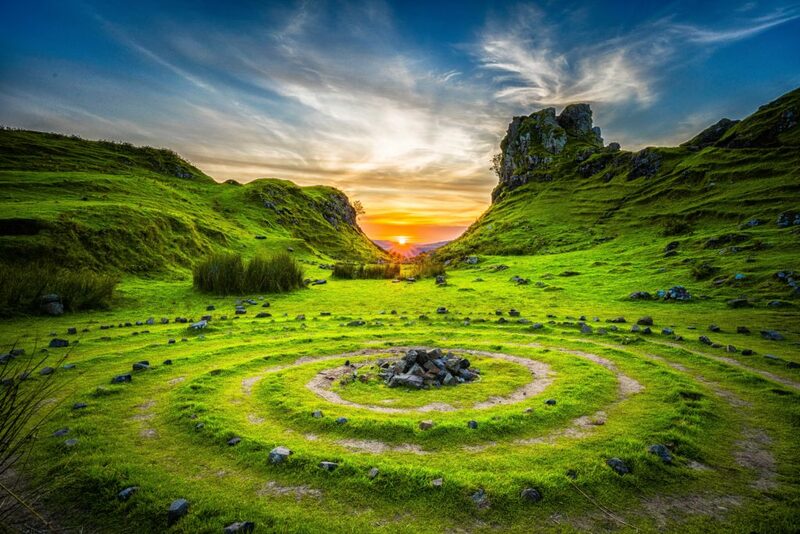 The Ancestral Sacred Sites play a key role in the restoration of those affected places because Ancestral Sacred Sites are energetic points that elevate the capacity of Mother Earth to restore systemic balance. Worldwide, Ancestral Sacred Sites are interconnected. This means that they work together energetically and potentiate the capacity of a single Place to restore the balance of a nearby affected area or region. It is through reciprocity and specifically through ancestral rituals, by offerings and payments, how we as Ancestral Spiritual Leaders can accelerate and assure the healing process. The proposal of biocultural sacred sites for humanity (Spiritual Reserves of Humanity) before UNESCO is crucial when we understand the connection between conservation and spiritual and cultural practices of indigenous peoples. We are presenting this initiative in order to strengthen and protect our territories and sacred sites and to mitigate the effects of Climate Change worldwide with emphasis in indigenous Peoples’ Territories.